The Coupon Wars is PR friendly. Feel free to contact us (at TheCouponWars@aol.com, or DanielleCorrelle@aol.com) if you'd like us to host a review or giveaway. Go HERE for a coupon!! *I will recieve one or more of the products mentioned above for the purposes of a future review at Flip Flop Reviews through the above mentioned company or representing PR agency. In the event of a giveaway, the prize is shipped by the sponsor and I hold no responsibility. Thank you for reading! Dr. Seuss - 5 Books For $5.95 + Free Backpack & Audio Book!! Wow, what an awesome deal! I'm thinking Easter, or Christmas here with this one! Get 5 Dr. Seuss Books For $5.95 + Free Backpack & this weekend only, they'll include a FREE Audio Book! Dr. Seuss’s Birthday is March 2nd. No American writer has had as great an impact on children's literature as Dr. Seuss. His imaginative characters, vivid illustrations, and catchy rhymes are instantly recognizable to anyone who grew up reading his stories. Create a personal library of children's books by joining Dr. Seuss & His Friends book club. On the subject of Dr. Seuss, check out this super cute Dr. Suess hairstyle for Crazy Who-Ville Hair Day over at Plus One Times Eleven Million! 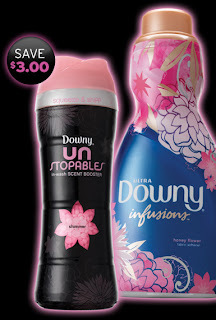 Free Sample of Downy Infusions! Hurry, request a free sample of Downy Infusions! I was able to request quite a few samples and coupons! P&G everyday allows one order request per household address per quarter. Ordering periods are generally between January 1 and March 31, April 1 and June 30, July 1 and September 30, and October 1 and December 31. Sample and coupon selections change throughout the year. Through February 28th, use code 1MUG at York Photo to recieve a custom 11oz. photo mug for just $1 (plus shipping of $5.99)!! That's 90% off! Please note that this offer is valid for new customers only. Be sure to check out the offers for a $2 tote bag, and $20 fleece blanket as well. Custom Fleece Photo Blanket - $20! From now through February 28th, you can purchase a custom fleece photo blanket for only $20 at York Photo with code: CUDDLES. Shipping for the blanket is $6.99. In addtion, be sure to check out the $2 tote bag and $1 mug!